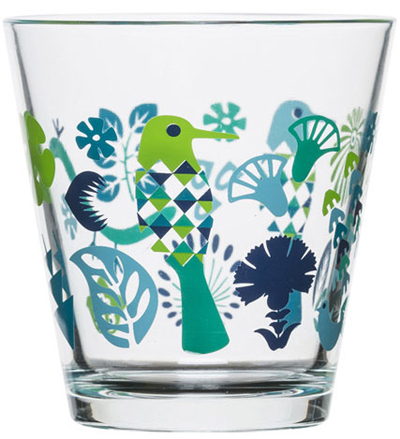 Today's posts all feature Swedish company Sagaform. 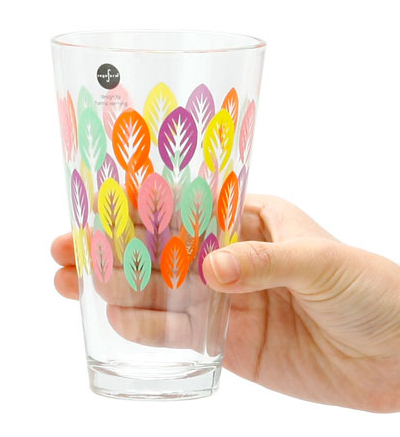 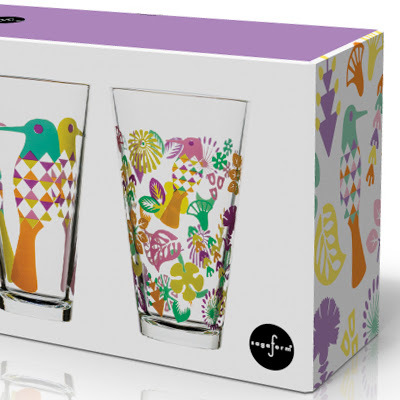 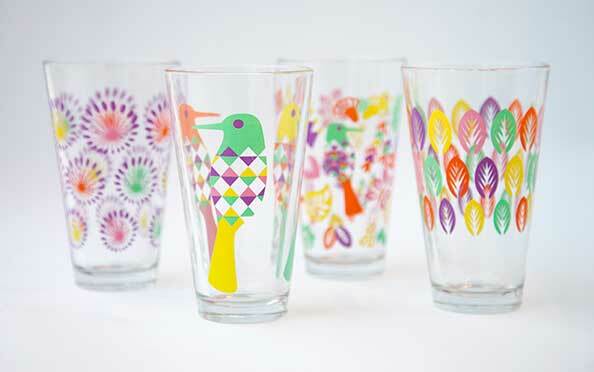 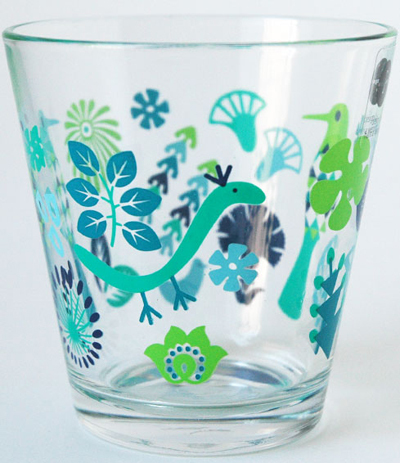 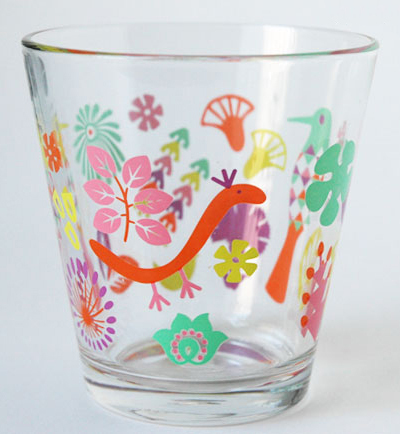 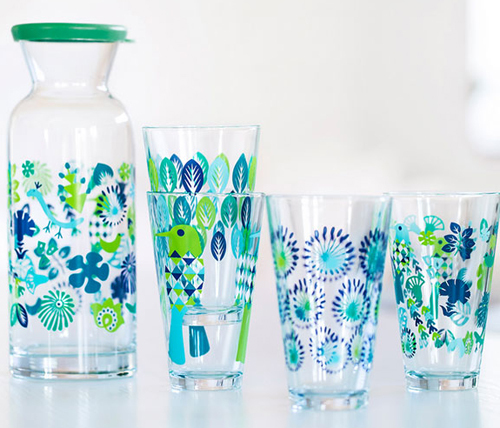 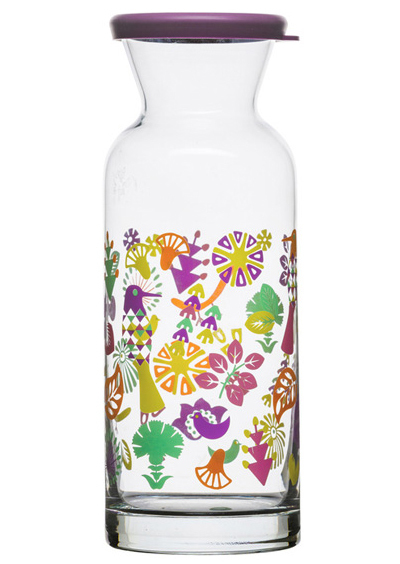 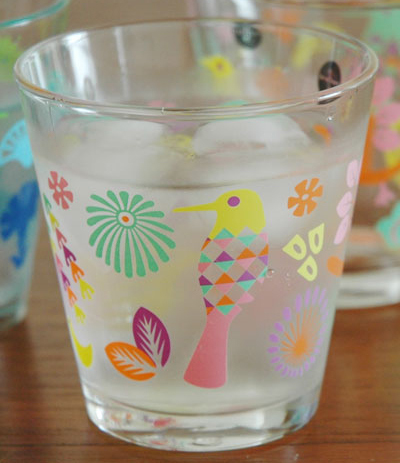 We begin with 'Fantasy' a new everyday glassware range designed by Hanna Werning. 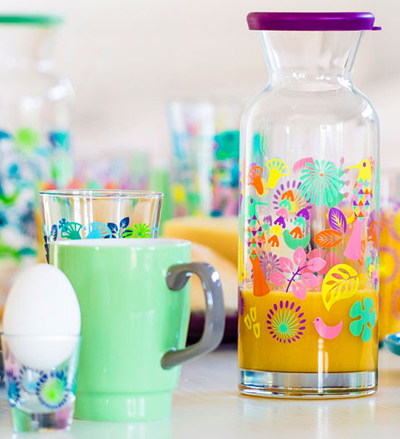 The concept of the range was create a collection that would suit any occasion from your morning breakfast drink to a fun party. 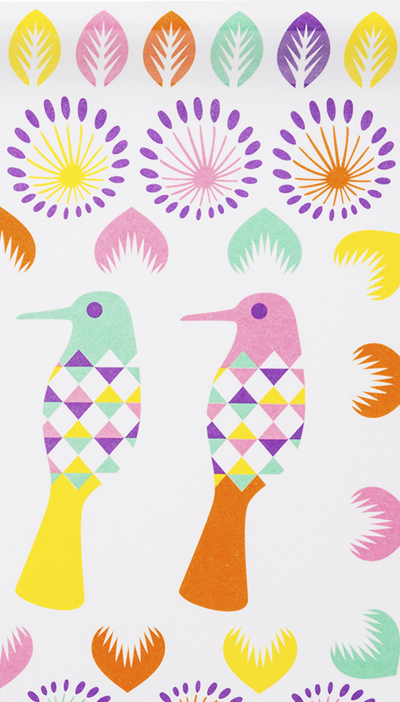 Hanna decided to create one main pattern and then select singular elements to create additional decors. 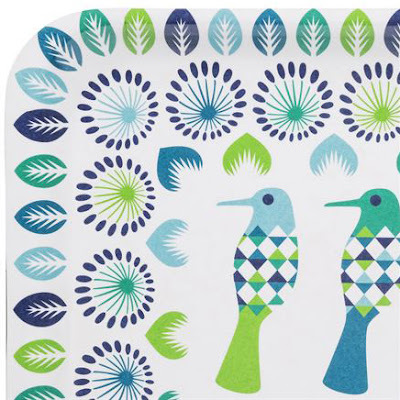 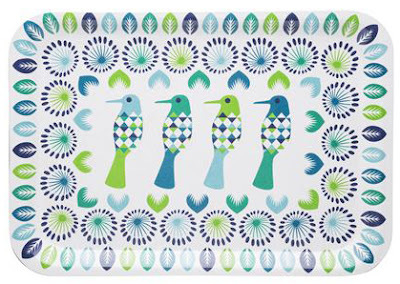 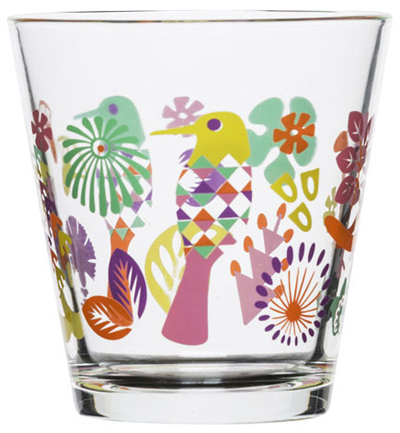 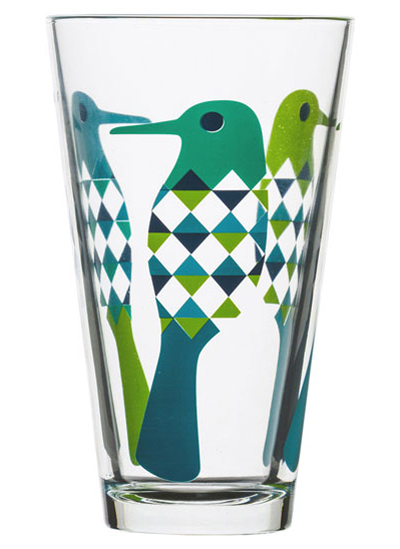 There are beautiful geometric birds set amongst stylised leaves and flowers which feature on differing sizes of glass and on a drinks tray. 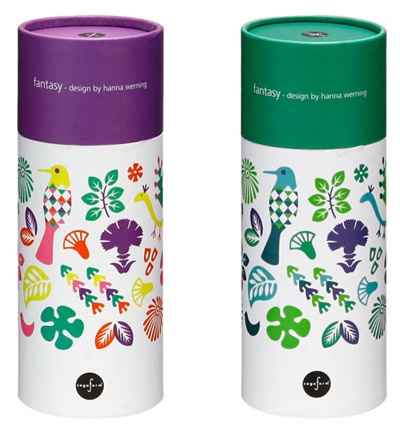 Fantasy is available in two colourways either cool blues and greens or bright pinks and multi. 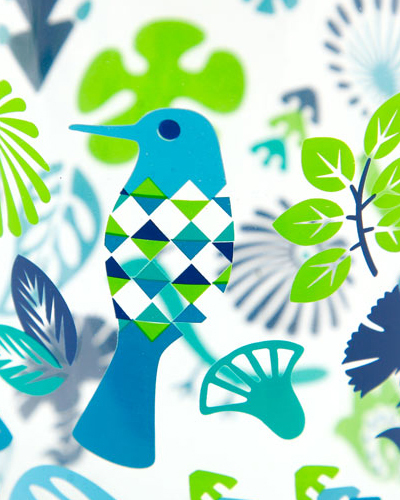 You can see the full range online at Sagaform or check out more of Hanna's folio of design work here.